When I decided to try to make almond milk, I did not realize how easy and cost effective it would be. Almond milk is the "go to" milk in my house. My son drinks it, I cook with it. I make cafe mocha with it. 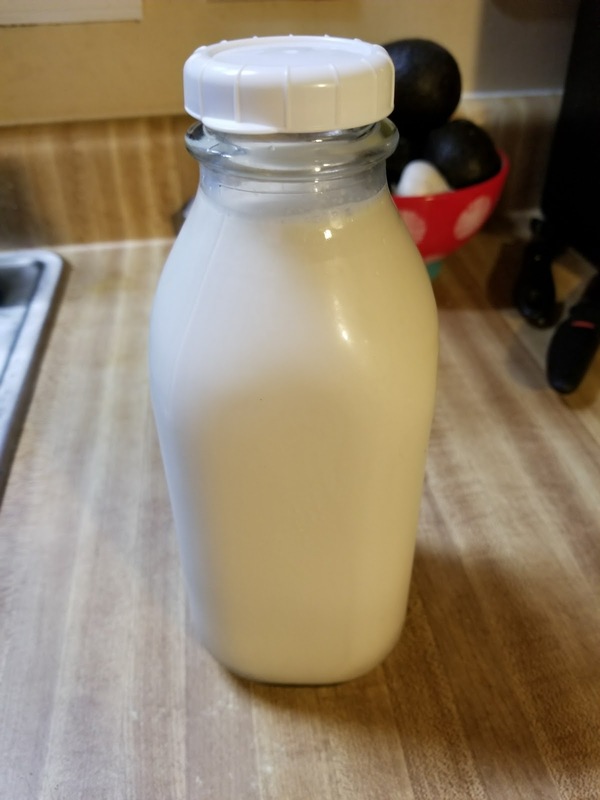 The best part is two fold- not only is the fresh homemade almond milk SO much better than store bought and it has no artificial anything, but also, there is no waste! 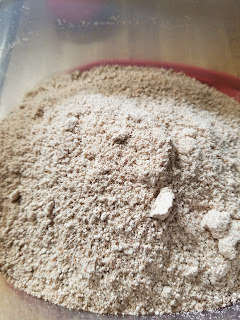 I take the leftover pulp, dry it in the oven and grind it into almond flour. I am not entirely sure if this is how commercial almond flour is made, but it works just like the pricey stuff in the store! This weekend, I got raw almonds for 3.99/lb. I can make at least 4 quarts of milk and close to 2 cups of almond flour out of a pound of almonds!! What a deal! You will need a nut bag- this is the one I bought and I love it. It is sturdy, easy to clean and fast to dry. I leave mine plain but you can flavor with vanilla and stevia or xylitol. You can add cocoa, cinnamon, whatever flavors you like. I hope you give this a go. You may become hooked! Put the almonds in a glass jar or bowl, cover with filtered water and soak for 8 hours or over night. Drain the water off and rinse almonds under running water until it runs clear. Put almonds in the blender, add 4 cups filtered water and blend for 1-2 minutes. Place your nut bag in a large bowl to catch the milk. Pour the blended almonds into the nut bag. Over the bowl, squeeze the bag gently to get all the lovely milk out. Knead and squeeze the bag until the almond meal is as dry as possible. Set the almond meal aside. Pour the milk into a glass jar or milk jug and store covered in fridge. This will keep 3 to 4 days. Pour the left over meal onto a baking sheet lined with silicone mat or parchment paper. Spread it out and break apart large chunks. Bake in a low oven (150 degrees) until dry. This could take a couple hours. Make sure every chunk is dry. Let cool. Place into dry blender and blend until powdery. Store in a container and use as normal in recipes calling for almond flour. Do you refridgerate the while soaking? More questions: If you are wanting a little milk but don't want to do the oven part for the flour until you have more almond meal, can you freeze it until you are ready to bake and if so, for how long? Can the almond milk be frozen and if so for how long? You can freeze the pulp.